It is an often repeated adage that Main Battle Tanks (MBT) are unsuitable for operation in the jungles, mountains and paddies common in Asian-Pacific environments. Yet many armies in the region are investing in updating their MBT fleets. One reason for this regional investment is that the MBT remains the premier platform for the application of combat power on the ground. The idea that MBTs are useless in tropical vegetation and rough or mountainous terrain ignores history. During the Second World War, Japanese Imperial Army tanks surprised their British counterparts by successfully attacking through the supposedly impenetrable Malaysian jungle. The role of tanks in during recent US-led interventions in Afghanistan and Iraq further reinforced the recognition of their continued relevance to contemporary operations. Today, MBTs being acquired by actors in the Asia-Pacific with modern armament, protection, and mobility. Some armies have customized their MBTs for their local environments with air conditioning, improved armour and specialised urban combat packages. Meanwhile, locally developed MBTs are often developed in cooperation with third party defence companies, resulting in advanced designs which are being offered for export. 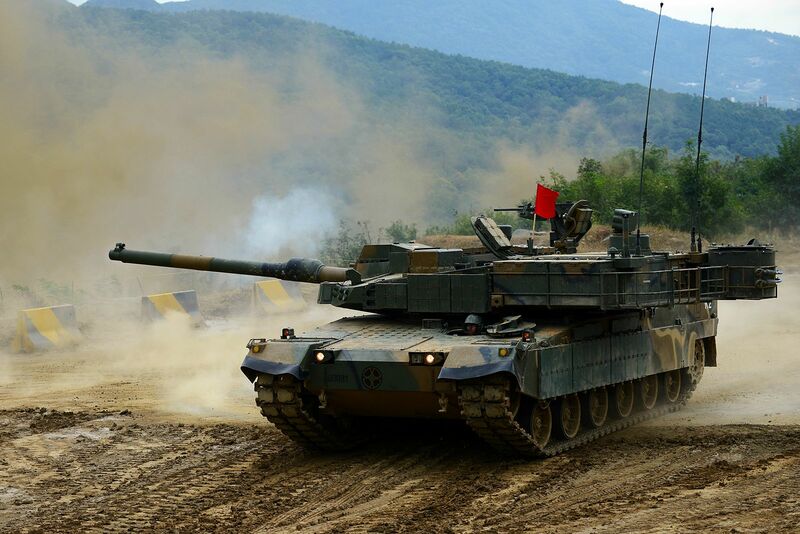 For example, technology from the Republic of Korea’s Agency for Defence Development/Hyundai Rotem K2 Black Panther MBT, notably the tank’s main gun, has been selected to equip the Turkish Army’s Otokar Altay MBT. 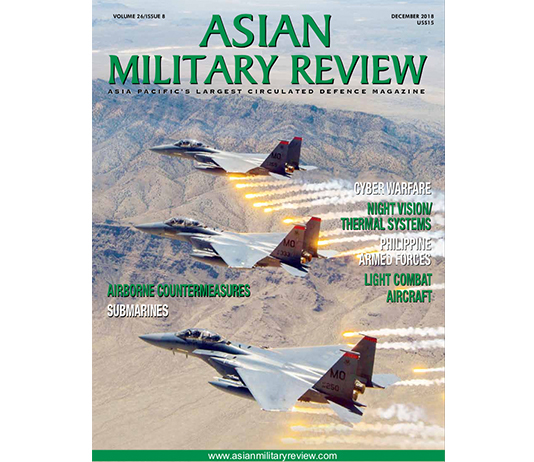 So, in the MBT domain, what are Asia-Pacific armies seeking and what are their plans? The Royal Australian Army Armour Corps currently has 59 General Dynamics M1A1s Abrams acquired for the 1st Armoured Regiment. The Australian models include the Tank Urban Survivability Kit developed as a result of lessons learned in US Army urban operations in Iraq. Since 2013 a $59 million Tank Technical Refresh and Remediation Programme has been underway to extend the vehicle’s life to 2035. Regarding the operation of Australia’s MBTs with infantry, during manoeuvre, currently the latter has the United Defence/BAE Systems M113AS tracked armoured personnel carrier which does not have the speed or protection to operate close to the M1A1. However, the army has launched a tender to acquire 450 new Infantry Fighting Vehicles (IFVs) with greater mobility, higher protection and larger armament than the M-113AS. According to one Australian defense analyst, this procurement: “will transform Australia’s army from essentially (a light infantry force) into one of the most potent forces in the world.” That said, an IFV fleet of this size would be difficult to adequately support with such a small existential MBT force. Therefore, it would, thus, not be a surprise to see that force expanded in the future. 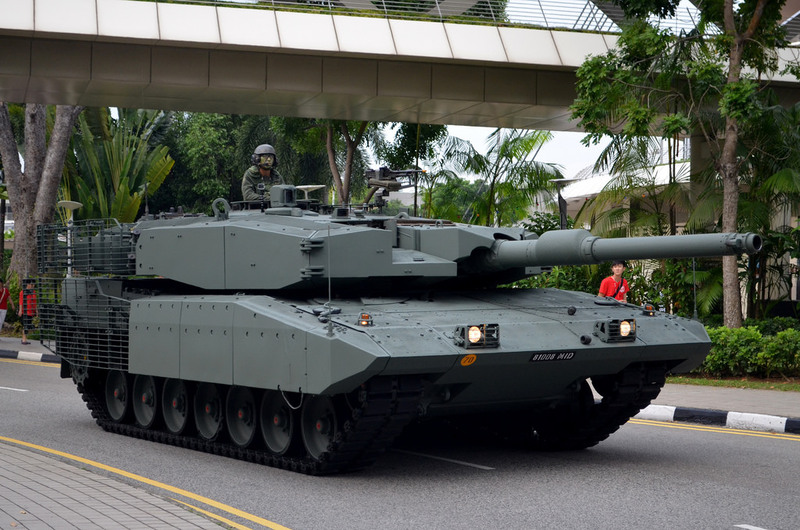 Although Australia uses MBTs supplied by the US, the Singaporean Army has opted for a European solution via its acquisition of 96 Krauss-Maffei Wegmann Leopard-2A4 MBTs in 2006. A number of these MBTs have been specially modified by IBD Deisenroth Engineering and ST Kinetics with additional armour. Referred to as the Leopard-2SG this upgraded MBT also has the longer barrel Rheinmetall L55 120mm gun. Meanwhile, neighboring Malaysia acquired its current MBT fleet from Poland, taking delivery of 46 Bumar-Labedy PT-91Ms. Prototype testing started in 2000 with an acquisition contact signed in 2003, and the MBT entering full service with the Tentera Darat Malaysia (TDM/Malaysian Army) in 2010. The PT-91M is derived from the Uralvagonzavod T-72 family MBT but has a Polish PZL-Wola S-1000R engine and Polish-designed ERAWA explosive reactive armour. The commander and gunner have the gyro -stabilised Safran VIGY-15 fire control system which, coupled with new gun stabilization, increases the armament accuracy by 23 percent when compared to the T-72 family. In 2015 General Raja Mohamed Affandi Raja Mohamed Noor, commander of the TDM, appeared to confirm the intent to form a second armoured regiment. Despite being in service, the PT-61M may not be the only candidate for this new unit. Local sources suggest: “there has been criticism of mechanical reliability and concerns over the survivability of the PT-61M (the later partly due to the vulnerability of the T-72 shown during recent conflicts in Iraq and Chechnya).” To date funds have not yet been budgeted for any new MBT. Away from Malaysia, the Royal Thai Army has commenced an ambitious effort to replace its Cadillac M-41A3 light tanks with the acquisition of 40 Kharkiv-Morozov T-84 Oplot MBTs, however, deliveries were delayed due to the civil war in Ukraine. This first delivery of 40 vehicles was seen as the first part of an eventual delivery size of up to 200 examples. However, the first T-84s were not received until 2014 later than promised, although by May 2016 a total of 20 tanks had been delivered. The delays and some technical problems suffered regarding the MBTs have caused the Thai army command in December 2015 to consider Russian and Chinese alternatives (this limit was dictated by the need for ammunition common to the T-84’s 125mm gun).. In May 2016 the army announced that it had formally signed an agreement with China North Industries Corporation (NORINCO) to buy their MBT-3000 MBT. Reportedly, the first of 28 vehicles ordered for $150 million will be delivered the end of 2016. This is the first export of the MBT-3000, itself an export version of the People’s Liberation Army (PLA) T-99G which debuted in 2012 at the Eurosatory exhibition in Paris. 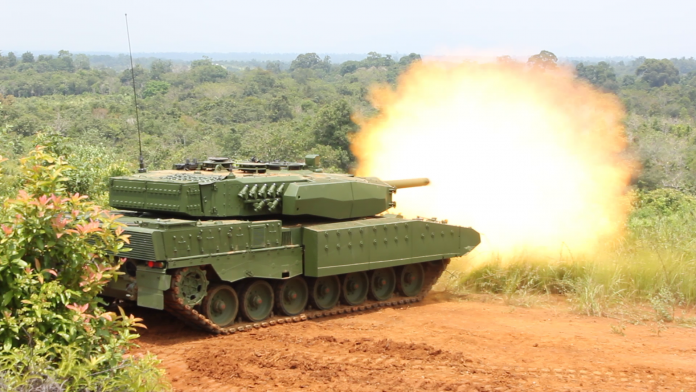 Further south, the Tentara Nasional Indonesia Angkatan Darat (TMI-AD/Indonesian Army) accepted its first eight upgraded Leopard-2A4 MBTs in May 2016 out of a total of 61. 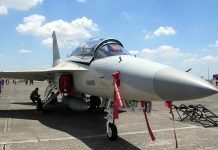 These are in addition to 46 Leopard-2RI versions already delivered. A Rheinmetall spokesperson shared that the company: “is currently carrying out a performance upgrade of the Leopard-2A4 on behalf of the Indonesian armed forces … Two different versions, the Leopard-2A4 and Leopard-2RI, are being modernised. The programme includes a climate control system (for both MBTs), improved ballistic protection, conversion to an electric turret drive, an auxiliary power unit, and the fitting of a rear camera (to the Leopard-2RI).” Rheinmetall is also converting the 120mm smoothbore gun in the Leopard-2RI to fire Rheinmetall’s new programmable DM11 multipurpose round. As noted above, some MBT manufacturers in the Asia-Pacific are entering the international market place. The Korean Defence Development Centre and Hyundai Rotem have designed state-of-the-art MBTs. 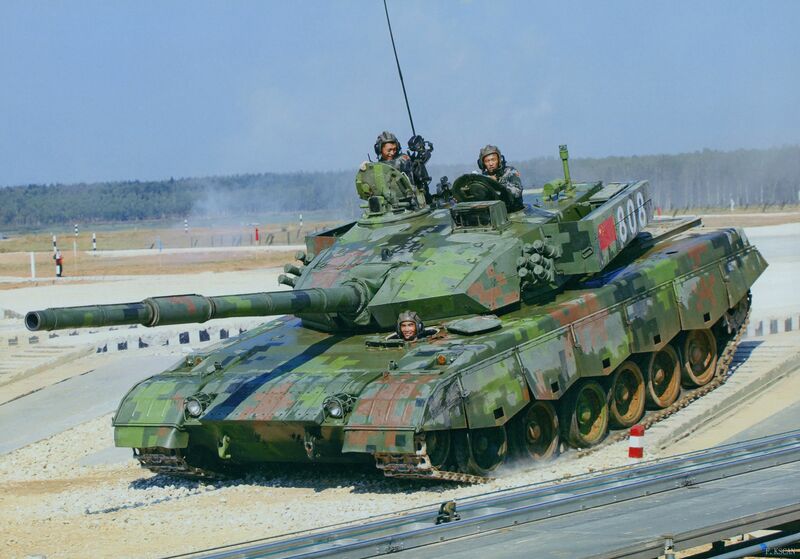 For example, the K1 family MBT was designed in 2007 with assistance from General Dynamics and shares much of the M1A1 design (see above); a major exception being the MTU MB-871-Ka-501 engine built under license by the ROK’s Ssangyong Heavy Industries. The commander has the Safran SFIM two-axis, independently stabilised, panoramic sight manufactured by Samsung under license. The K1s also have an adjustable suspension that allows the tank to ‘squat’ reducing its visual profile, or ‘kneel’ to increase either gun elevation or depression for firing in undulating terrain. Beginning in 2014 the K1A1 MBTs were upgraded to the K1A2 with a digital battle management system, IFF (Identification Friend or Foe) capability, and front and rear surveillance cameras. The K2 (see above) is not so much a successor to the K1 as a complement. After over 15 years in development the first K2 entered service in June 2014. Its main armament, though with a calibre of 120mm, has a higher 1400 metres-per-second (4600 feet-per-second) muzzle velocity due to its longer 2.6-metre (24-feet) barrel. The tank’s Fire Control System (FCS) includes not only the panoramic sight and thermal imaging capability but a millimeter wave radar to detect incoming missiles for long range targeting/ranging and target acquisition, and incoming threat detection. 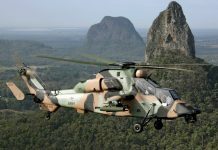 Used in conjunction with the thermal imaging sights, the system will follow a designated maneuvering target, even a low flying helicopter at a range of nine kilometres (5.5 miles). The FCS is linked to the gun/turret stabilisation which assures firing is initiated at the exact instant that the gun is accurately aligned with target thus compensating for vehicle movement induced error. The new gun fires the unique Korean Smart Top-Attack Munition (KSTAM-1/2). The KSTAM is a fire-and-forget, top-attack anti-tank munition that is fired at high elevation and deploys by parachute to use its own sensors to seek and attack targets at nine kilometres range. Thus the K2 can engage targets while in defilade or that are out of sight. The first 100 K2s will use the MTU’s 890 engine, but it is intended that this will be replaced by the Doosan DST 1500 horsepower/hp engine and an S and T Dynamics automatic transmission from late 2016. 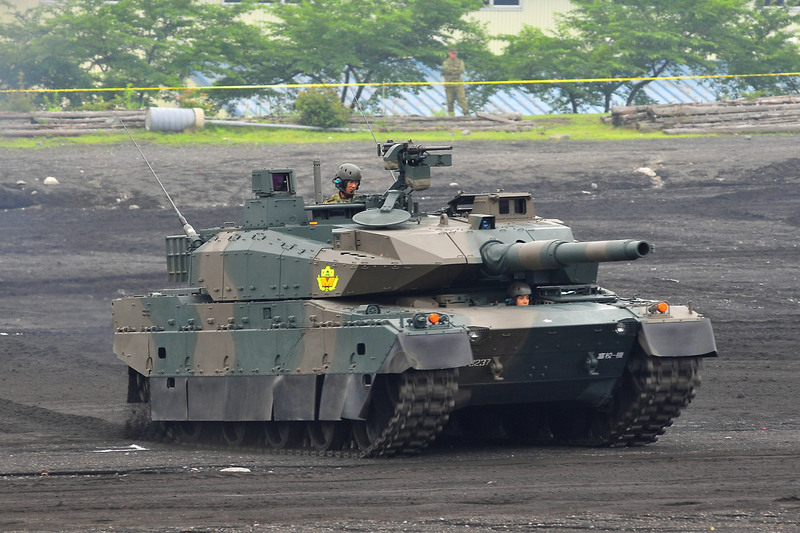 Unlike the ROK, Japan has been developing its own MBTs for the Japanese Ground Self Defence Force (JGSDF) for some time, for example, the Mitsubishi Heavy Industries (MHI) Type 90 MBT equipped with Rheinmetall’s L44 120mm gun is the (produced under license by Japan Steel Works) is the current standard MBT of the JGSDF. Circa 340 T-90s are in service although Japan is currently developing a new MBT known as the MHI Type-10. The objectives of the Type-10 programme were to provide reliable protection and survivability, and an MBT more compatible with the road and rail network, given that the Type 90, tipping the scales at 54 tons, was limited where it could operate. The Type-10 having a 44 ton basic weight has greater employment flexibility in this regard. The lower weight of the Type-10 is partly achieved through use of a modular armour system allowing modules to be removed to lower weight and added to increase protection. The Type-10 has an automatic loader (thus a three person crew), and a 120mm smoothbore main gun plus a turret-mounted remote weapon station. However, it is the tanks electronics and optronics that increase its lethality and operational capability. The commander’s panoramic site has unobstructed 360-degree views and allows for hunter-killer, hand-off or ‘from-my-position’ firing roles. The Type-10 is entirely a Japanese design with many features not seen on comparable MBTs such as its full semi-active, hydro-pneumatic suspension and 1200hp diesel engine linked to a continuously variable transmission allowing the same speeds in forward and reverse. The tank has also been viewed with a bow-mounted self-entrenching blade. First fielded in 2012, circa 66 are now in service and it is expected that the Type 10 will replace the 1975 vintage MHI Type-74 MBT which could see a requirement for around 300 tanks. Unlike JGSDF, the Hukbong Katihan ng Pilipinas (HKP/Philippines Army) has no MBTs. Current HKP requirements do call for the procurement of MBTs, but the availability of funds for such a procurement remains in doubt. Previous candidate platforms which have been mentioned in open sources include the K1 and Type-74 platforms (see above) which are expected to be phased out by the ROK Army and JGSDF. 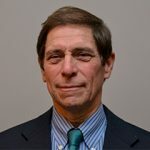 It is possible, however, that the Philippines’ new President Rodrigo Duterte’s improving relationship with the PRC could, in the short term, remove the strategic imperative for an MBT acquisition, if Manilla feels that the warming of relations allows the government to slow the speed of defence modernisation? While the Philippines is not in possession of any MBTs, the Vietnam People’s Army currently has vintage Uralvagonzavod T-55 and T-62 family MBTs in service. In June 2106 it was reported that Vietnam was seeking Uralvagonzavod T-90MS MBTs from Russia, a modernised export version of the T-90S fielded by the Russian Army in 1993 which remains the force’s principle MBT. Vietnam is understood to have an initial requirement for 28 vehicles though final details regarding any order have yet to be announced. The majority of the People’s Liberation Army’s MBT force continues to use the First Inner Mongolia Machinery Factory Type-96 family that was first fielded in 1997. The Type-96 is similar to the T-72 (see above) but with a more advanced fire control system and a 1000hp diesel engine. The Type-96 has been improved via the Type-96G with explosive reactive armour and thermal imaging replacing the image intensification sights. Over 1500 Type-96s have been produced with some sources suggesting more than 2000. Nevertheless, NORINCO has been pursuing an aggressive armoured vehicle development programme, which includes MBTs, over the last fifteen years. In 1998 it developed and trialled the Type-98, an MBT based on the Type-96 with turret and armament improvements. Though not fielded, it led to the Type-99 which was fielded in 2011. This MBT has modular ERA armour and an active laser protection system intended to disrupt laser-guided missiles and blind enemy optronics. The fully-stabilized ZPT98 125-mm smoothbore gun uses conventional rounds and cannon-launched ATGMs. 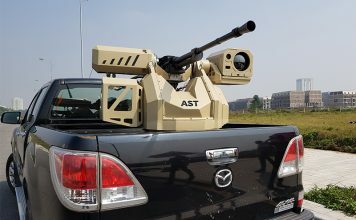 A new computerized fire control system incorporates a laser rangefinder, automatic target tracker and thermal imaging in both the commander’s panoramic hunter-killer sight and the gunner’s sights. The MBT’s 1500hp diesel engine is based on MTU’s 871. The Type-99’s price appears to have limited its fielding to only 200 tanks. However, export versions have been developed known as the M3000/ VT-1A which are in service with Morocco and Peru. Concerns by various Asia-Pacific countries over their security and perceived threats to their national interest, perhaps best highlighted by the PRC’s increasingly muscular maritime and territorial presence in the East and South China Seas, and the availability of advanced armoured combat vehicles at a reasonable price have combined to create the current MBT market in the region. For some, like Vietnam and Thailand, their ageing MBT fleet is causing them to modernise simply to maintain a credible ground combat capability. For others, like the ROK and Japan, their efforts are simply a continuation of efforts to maintain their combat edge. 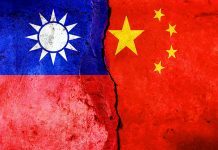 Given the programs in progress and initiatives being considered MBTs are destined to play an even greater role within Asia-Pacific armies over the coming decades.